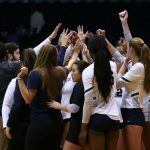 The Bulldogs celebrate a point. 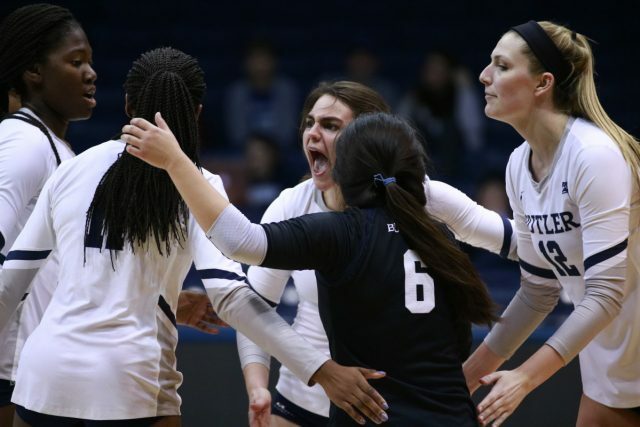 The Butler University volleyball team scrimmaged the Marian University Knights yesterday. 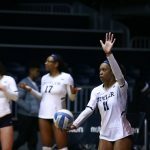 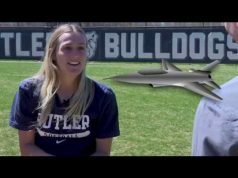 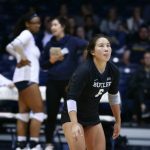 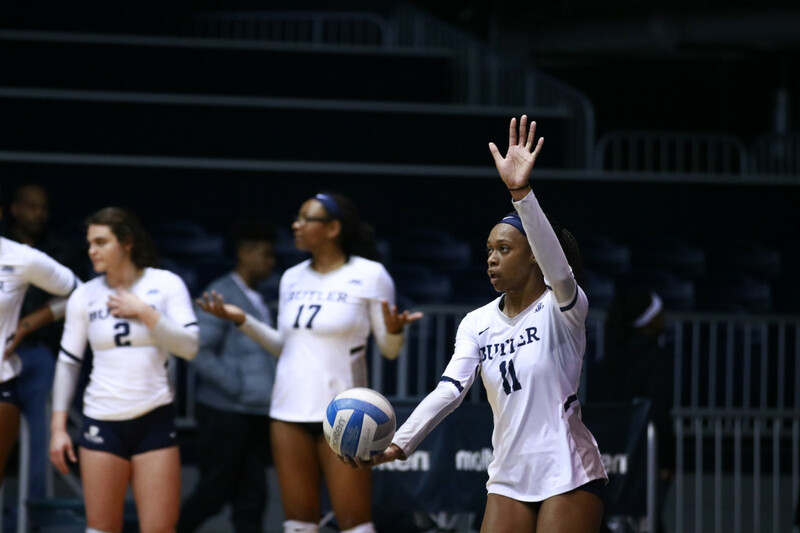 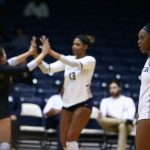 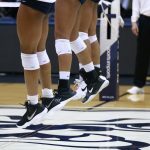 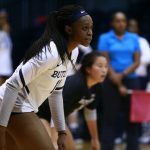 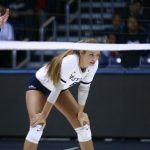 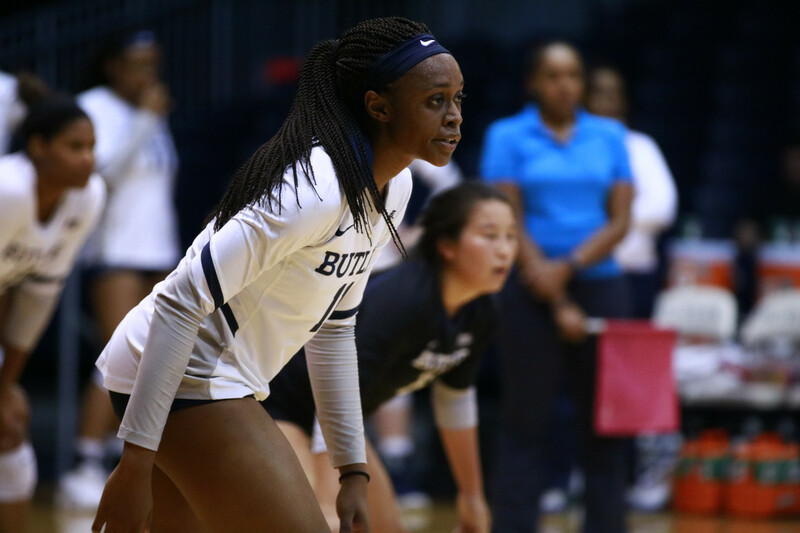 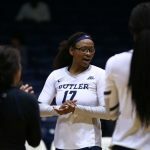 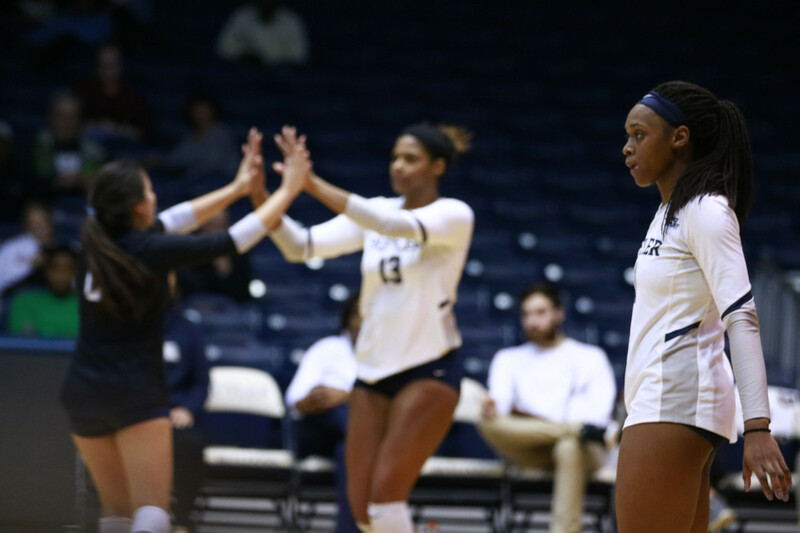 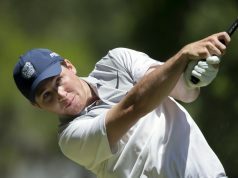 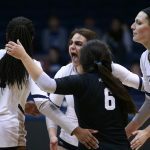 The scrimmage marked Butler’s first match of the spring season. 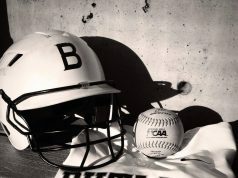 All photos by Jimmy Lafakis. 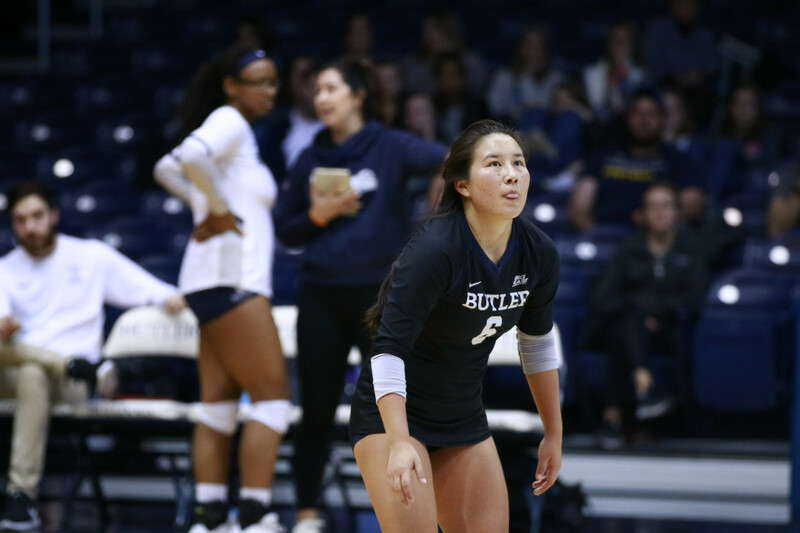 Junior libero Taylor Takeda licks her lips while staring at the ball. 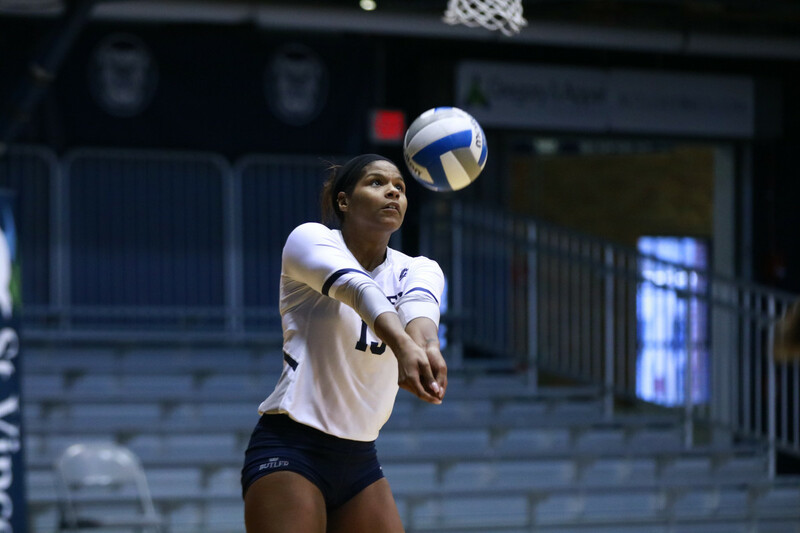 Junior middle blocker Bri Lilly hits a ball in the second set. 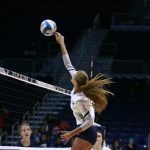 Freshman middle blocker Rachel Klitzing prepares for a Marian serve. 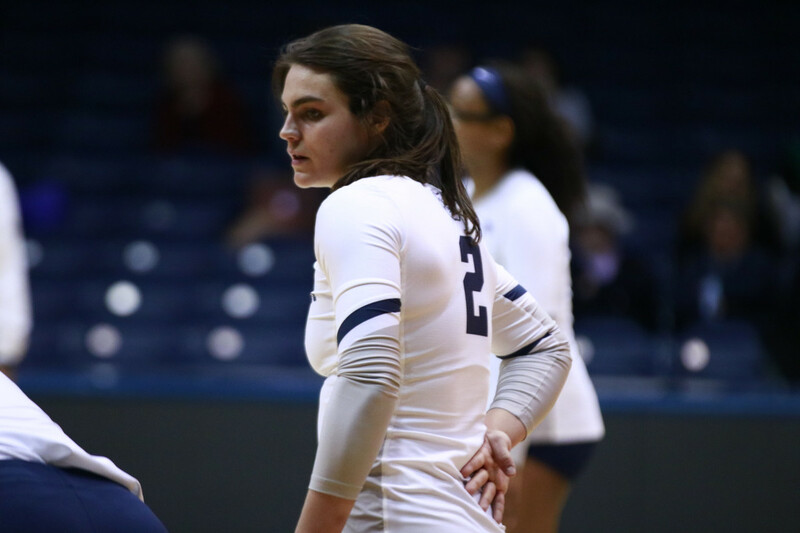 Freshman outside hitter Natalie Ravenell awaits a Marian serve. 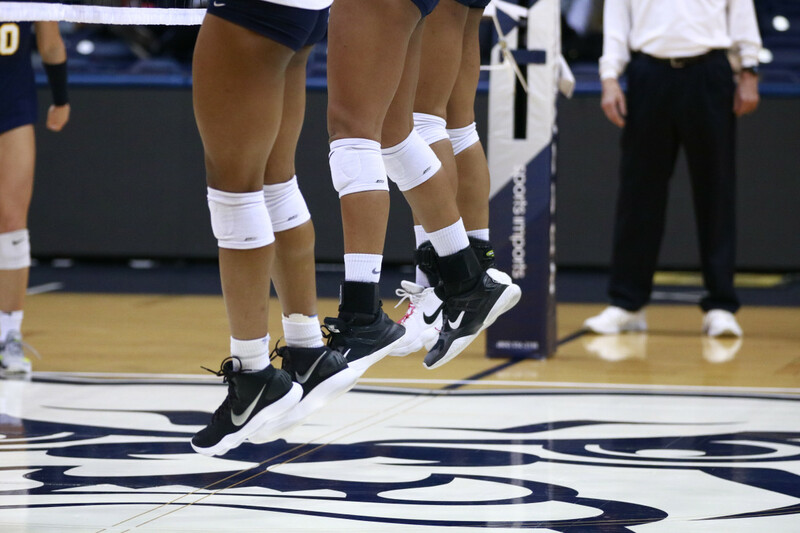 The Bulldogs’ front row jumps in unison. 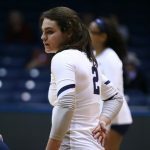 Freshman outside hitter Natalie Ravenell stares across the court. 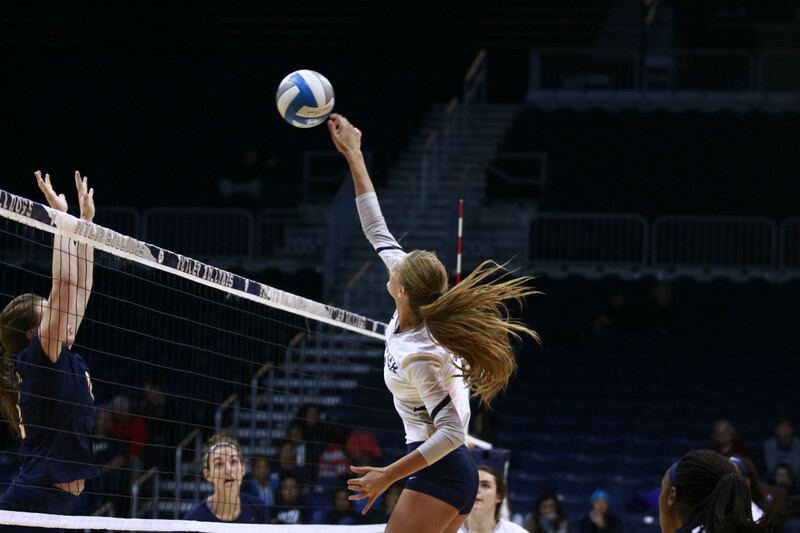 Freshman middle blocker Rachel Klitzing hits the ball across the net. 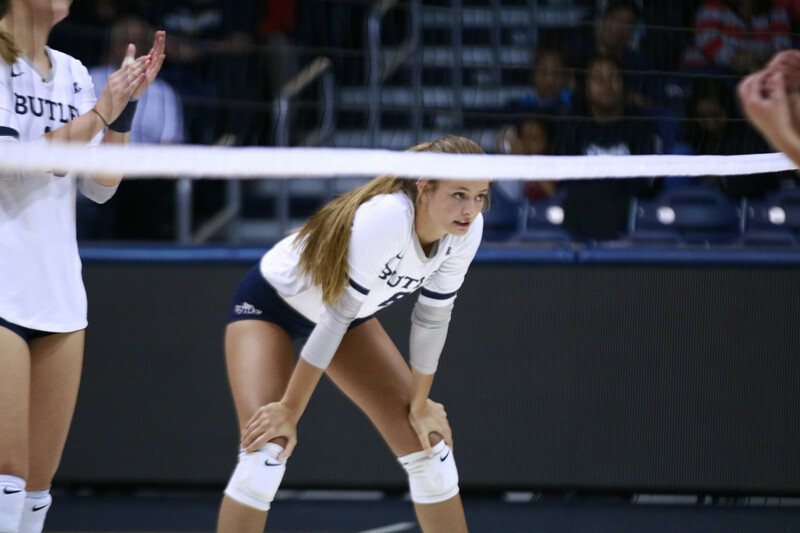 Freshman setter Maria Schorr signals a serve location to a teammate. 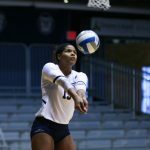 Freshman Natalie Ravenell prepares to hit an overhand serve. 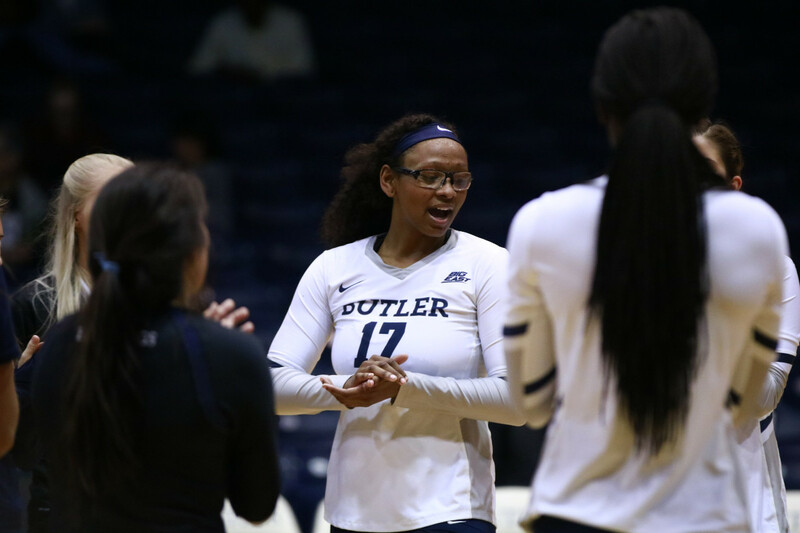 Redshirt sophomore Rillian Dennis sings the Butler War Song with teammates after the match. 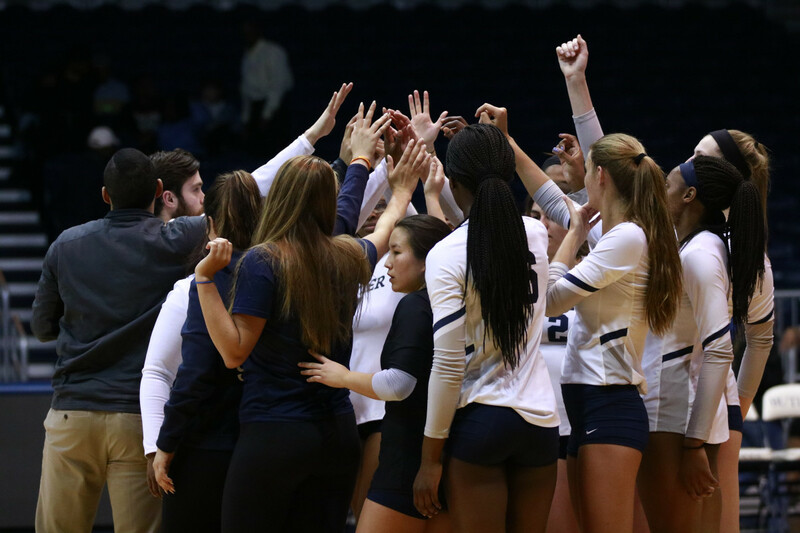 The Bulldogs huddle after the match.